Communities across the US who use Symposium’s Horizon EME CAD and EM Mobile Data systems are getting safer still, thanks to the continued roll-out of Phase II 911 across the country. 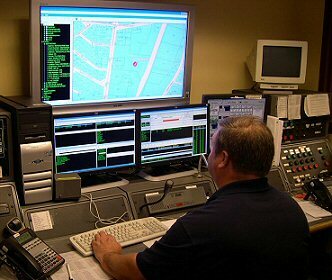 Using this new capability, callers making 911 calls from cellular telephones automatically have their location and call-back information displayed directly in the CAD, solving one of the most frustrating problems faced by dispatchers and emergency response personnel – sending help to someone on a cell who might not know exactly where they are. Now, when a cell-based 911 call comes in to a phase II-enabled dispatch center, the location and the call-back number are instantly available in the EME CAD, on the map, and real-time in the trucks via the EM Mobile data system. As a result, personnel are now able to get help to the right place, quickly and accurately, regardless of the call type or location. Access to phase II e-911 information has been identified by public safety professionals as a key issue, and it was for this reason that the Horizon EME CAD and EM Mobile Data system were designed from the ground up for full, easy, and transparent phase II wireless compliance. Simply put, as long as the information is contained in the cell packet, the EME CAD and EM Mobile can send you where you need to go, with speed and precision. In so far as this is becoming a reality in more and more jurisdictions, the use of this capability is becoming more and more widespread. Phase II e-911 is just one example of the many ways in which we work with departments like yours every day to help solve problems, improve safety, boost effectiveness, and simplify operations. If you think our expertise and solutions could help your department, let us know – We’d be delighted to help make your vision a reality.